Former MP chief minister Sunderlal Patwa who passed away in Bhopal, was a veteran politician who had started his political life with Jan Sangh. 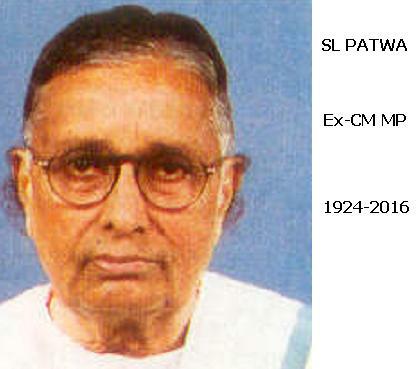 Known for his simplicity, Patwa, belonged to the generation of early Jan Sangh leaders who struggled for decades and fought Congress hegemony for long,before they managed to attain power. After death everything is 'sanitised', it seems. In obituaries writers and journalists have written about Patwa-ji. But the fact that he presided over the worst communal riots in MP, is nowhere mentioned. It's time for euologies! But along with positive aspects, other important facts can't be ignored. No one seems to remember that during Sundarlal Patwa regime Bhopal and Ujjain saw the most deadly communal riots in state's history in which hundreds perished.. The year was 1992-93. Centre dismissed Patwa government. Many people in those days hinted at Congress hand. But the fact remains that MP had never seen such devastation and killings in riots. Till then Bhopal was an island of peace and there was never a riot in this city. The official figure of deaths in Bhopal riot was nearly 150. Yes, blame Congress elements' involvement or BJP workers' role but how this fact gets ignored...not even in passing mention amid the glowing tributes for the 'saint politician'. Responsibility of Rajiv Gandhi 1984, Sudhakar Rao Naik 1992, Modi 2002...Praise is fine but to whitewash everything? No. You may be powerful and may rule but it doesn't mean that everything will be whitewashed. Patwa didn't like 'outsider' Narendra Modi's interference. Patwa resented Modi's style of functioning when latter was charge of MP affairs. Ensured 'Aghoshit boycott' by the local BJP, says this report. 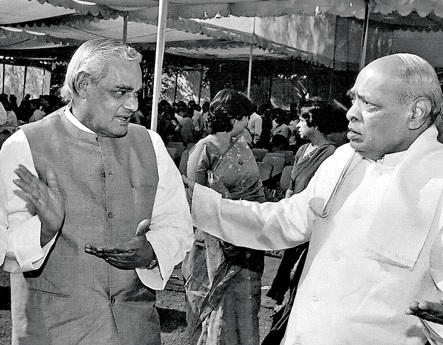 PV Narasimha Rao, the former prime minister of India, was the man who presided over demolition of Babri Masjid. The blame goes to Rao for not taking any action when it was known to him that lakhs of Kar Sewaks had reached Ayodhya. Already, he had been informed about the conspiracy to demolish the ancient mosque. When the mosque was attacked, Narasimha Rao remained incommunicado and didn't take steps to protect the mosque. World's biggest democracy had turned into a mobocracy. In Ayodhya--the place where there can't be any Yuddha [war], lumpens who claimed to be Ram bhakts were destroying ideals of Lord Rama. Kalyan Singh's BJP government in Lucknow was backing the Kar Sewaks. It had blessings from Narasimha Rao, India's Prime Minister, from Delhi. 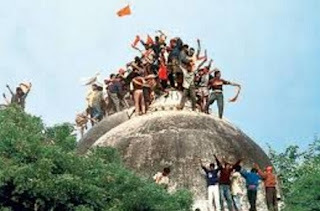 For hours on December 6 1992, Ayodhya saw the brazen assault on the religious structure as well as India's secular fabric and its ethos. 1. Rao chose to remain silent. UP government had given assurance to court that there would be no harm to Babri Masjid. However, Congress government at the Centre kept its eyes close while the world watched--through BBC and other foreign channels, how the mosque was demolished in broad daylight. 2. 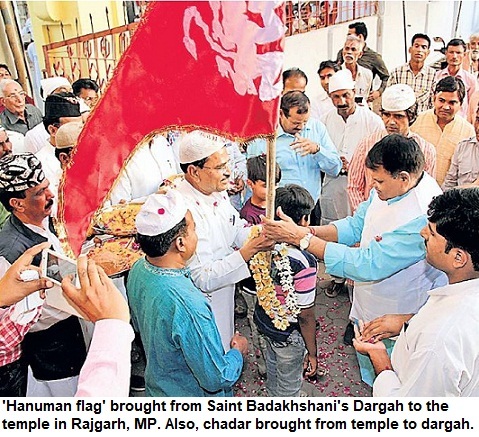 Later, when mosque was razed and a temporary Ram Temple was built over the debris of the mosque, Rao decided to speak. On Doordarshan, he addressed the nation with a grave face, saying that mosque would be rebuilt. 3. Rao's promise to build mosque again, was another lie. Soon riots broke out across the country. In Congress-ruled Maharashtra, the rioting was worst. However, there was no effort to control it, neither Sudhakar Rao Naik's Congress government was dismissed. 4. 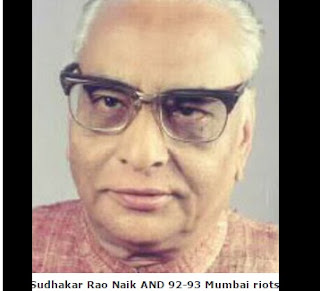 In two rounds of communal riots in which police didn't act against Shiv Sena cadre 1,500-2,000 persons were killed. But, while Shiv Sena cadre was on streets, killing Muslims, it Congress government in Delhi, remained oblivious to the plight of the Muslims. The police officers who were involved in violence were never prosecuted. Maharashtra state [Congress government] put obstacles at every step to ensure that victims of Mumbai massacre never got justice. Sri Krishna Commission report was thrown in dustbin and its recommendations were not implemented. 5. No wonder, Rao is seen as the architect of demolition and anti-Muslim violence. The man ensured that whatever little regard Indian Muslims had for Congress, was now a thing of past. If there was any option anywhere, Muslims would vote for that party. Muslims lost whatever trust some old-timers had in the party. Dalits were already abandoning it with the rise of BSP. December 6, 1992 is the day Indian Muslims felt helpless across the country. It was similar to what Sikhs had felt in Delhi in 1984 when Rajiv Gandhi was at the helm. This is history, it can't be erased. Congress again came back to power, formed governments. But the fact remains that it has lost its connect with Muslims. And, it is unlikely for Muslims to return to Congress sooner in future. Indian Muslims are searching for alternatives, the search is on. 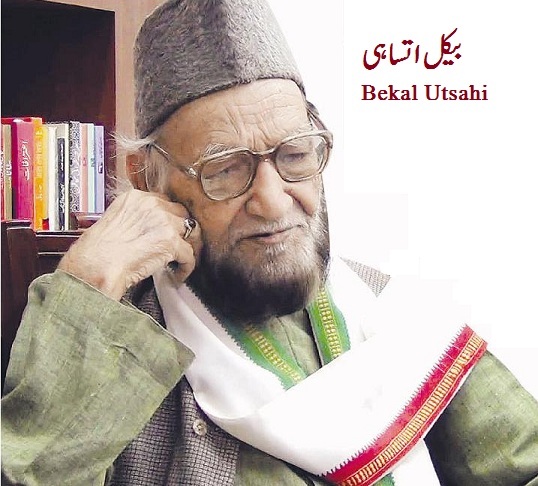 Famous Urdu poet Bekal Utsahi is no more. He was undergoing treatment in a Delhi hospital where he passed away on December 3. Bekal Utsahi was 87. He belonged to Balrampur (UP). An ambassador of communal harmony, ganga-jamni culture, Bekal Utsahi used the Purbi language and expressions from Awadhi, Hindi and Braj in his poetry. Apart from Ghazals and Nazms, he also wrote dohas and 'geet'. Mohammad Shafi, who later became 'Bekal' belonged to a Zamindar family. He had interest in poetry from an early age and wrote rebellious poetry during the British rule. He went to jail. For almost seven decades, he wrote poetry. He attended Mushairas across the world. Bekal was widely respected and was listened with respect in Kavi Sammelans too. Apart from literature, he was also active in other fields. He was a member of Rajya Sabha [Upper house of Parliament]. Government of India honoured him with 'Padma Sri'. Seeing his passion while reciting his poetry, first Prime Minister Jawaharlal Nehru had termed him 'Utsahi' [Utsah=Enthusiasm]. In the mushaira, Bekal was reciting the verse 'Kisan Bharat Ka'. Nehru was impressed with his poetry. Hence, 'Utsahi' became a part of his name since then. And, Bekal Warsi became Bekal Utsahi. Bekal wrote Hamd, Naat and in other genres too. He rendered poetry in his inimitable style. In the last mushaira at Lal Quila, he had said, "it could be my last presence here".